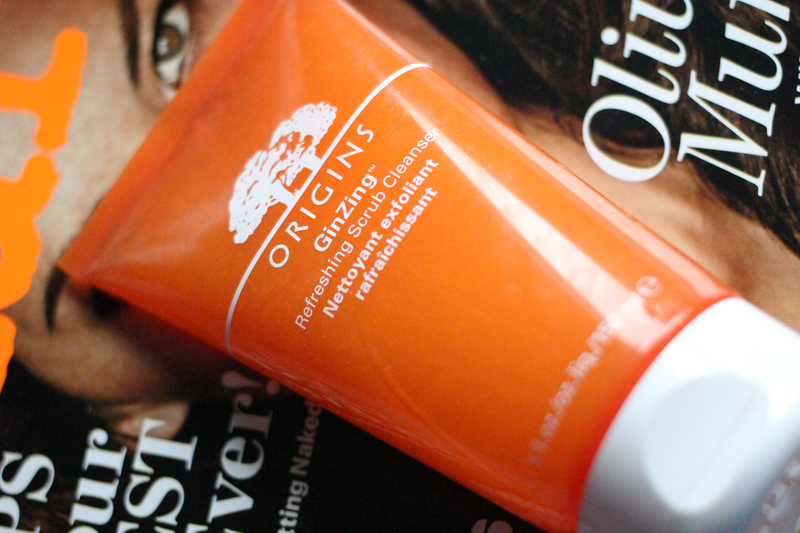 Origins GinZing Refreshing Scrub Cleanser – amandarobots. When I first saw a photo of this on Instagram, I thought it was an urban-beauty-blog-legend, born of some cruel person’s wishful thinking, abuse of Photoshop, and desire to taunt GinZing lovers like me. But alas, I was wrong – it popped up at my local Origins counter. I love Origins, and I love their GinZing line even more. It’s their zesty, pick-me-up collection for young, oily, dark-circle-ridden skin like mine. Now they’ve added to the line with a scrubby cleanser that smells just as juicy and citrusy as their moisturizer. It’s a gel base with little exfoliating beads that are neither sharp nor super gritty. It doesn’t leave my skin feeling irritated, but it does leave it feeling a bit drier and tighter than my regular Checks and Balances cleanser. Because of that, I feel like this’d be really good for very oily skin – a.k.a my skin come July. I’d never used an exfoliating cleanser before, and am still working out some of the kinks it’s caused in my regular skincare routine. For example, an exfoliating cleanser means I shouldn’t use my Clarisonic as much – and speaking of which, don’t try using this cleanser with your Clarisonic! Unless of course you’re looking to scrub your skin right off your face bones, in which case go ahead, because it’d probs be super good at that. If you’d like to keep your skin on, then don’t. It also means I’ll have to use my Origins Modern Friction – the physical exfoliant variant and the chemical exfoliant pads – much less to avoid irritation. Must report back with a revised skincare routine. Other than that, I’m thoroughly enjoying this cleanser. It’s quite nice for summer, especially if you’re oily. Ahh, this looks too good to be true! I’m a big fan of the GinZing line as well, so I can’t wait to give this a whirl. Definitely. It’s really lovely, especially in the AM!